Find out how DocuVantage ensures compliance, data security and efficient document control while reducing the cost of managing and sharing information. Our document control management soltutions include drilling leases, permitting, royalties, well records, accounts payables, document retention scheduling, automated workflows, ISO compliance and environmental performance. 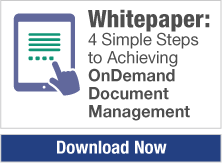 Reduce time to market - With document version control, you can speed the process of document review, change, approval, notification and distribution. Remove location barriers - accessible from anywhere with an internet connection enabling electronic review and signature. Streamline business processes automation- workflows with notifications. 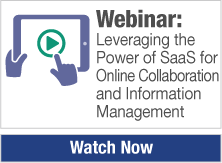 No more disparate or siloed information that cannot be accessed in seconds. With our document control software, there is only one secure repository for all types of documents and data with multi-level security permissions. Manage and control changes - the system uses check-in/out and houses all versions and changes to a document. Present the most recent approved verison and avoid costly mistakes.